There are many ways to lose weight. Perhaps one of the most effective ways is to use a liquid diet weight loss plan. They are an effective way when it comes to shedding unwanted pounds. 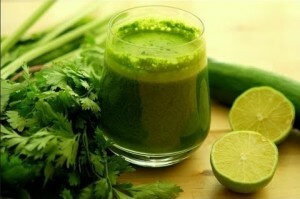 Plus, since you are consuming raw, whole food, you are giving your body a kick start towards a more healthy lifestyle. 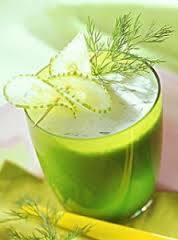 Following are some guidelines for a liquid diet weight loss plan. First, consult your physician. This is a smart thing to do before any weight loss program, especially this type of diet. You are going to be replacing solid food with liquid food for a bit and you do not want to shock your body or throw it into starvation/desperation mode. Your doctor will assess your overall health and see if you are able to handle this sort of thing. Once you have an all clear, there are some things to keep in mind. As stated above, you are replacing solid food with a liquid based diet plan, so start gradually. There is no need to go cold turkey and replace all of your meals with liquid meals from the start. Start by replacing one meal with one of your juice based meals and work up from there through the week until you are on a solid liquid diet for seven to ten days straight. Another helpful hint. Stock Up! That’s right, when it comes to your diet of liquids you need to buy in bulk. A great rule of thumb to follow is what I call the 7 day rule. Buy enough fruits and veggies to last for seven days. Anything beyond that and you run the risk of letting them spoil. The odd thing is, you may not even notice they have gone bad until you take your first big gulp of morning smoothie… yuck! Once you have stocked up, try to match your foods as closely as possible to your meals. For example, I typically do not juice tomatoes, carrots, and celery for breakfast. On the contrary, I use them for lunch or dinner meals. Strawberries, bananas, and peaches are more suited for my morning taste pallet. Do what works for you. You are trying to turn this into the best liquid diets to lose weight fast. You are going to be on this diet for several days so you need to be able to get into a “juice groove” in order to last until your program is complete. You can also add things to your juice meals to help boost your overall health. Things like flax seed and even things like olive oil can be added in small doses and not adversely affect the flavor of your meal. The added oil, however, is a big boost to your cardiovascular system. Adding them to your liquid diet takes little time and yields great results for your health. Finally, remember this. Liquid diets are not only ways to lose weight fast, but help improve your entire quality of life. They nutrients you get from the foods are delivered quickly to your system and put to immediate use. Your body undergoes a major detox as the acid from the fruit attacks bad cells (free radicals), making you more likely to fend off chronic diseases like cancer and arthritis. liquid diets to lose weight fast is a great way to give your body an overall kick start into a healthy living lifestyle. You will probably continue to incorporate them into your daily routine from time to time as there are certainly some benefits to whole food versus cooked or processed food. You will look younger as your skin rejuvenates, and you will feel great!